Is there any safe way to be co-sleeping with baby? Heartbreaking: A tiny baby smothered to death by her own mother. Note: This is not the baby from the story. A tiny baby smothered to death by her own mother. 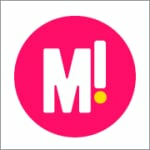 In a week too full of stories of unthinkable things happening to newborns, another one seems too depressing for words. But this one is not what you think. The baby girl was suffocated when her mother fell asleep while breastfeeding her. The court case has just been dismissed in New Zealand when it was decided that there was not enough evidence to push for a conviction of the mother, who admitted to being alcohol-affected on the night in question. She says that she lay down on the couch to feed her baby, fell asleep, and when she woke, her daughter was dead beneath her. The conversations around babies and sleep are always emotive ones. How often, how much, and for how long. But nothing is more controversial than where. Safe sleep guidelines have had a massive impact on the numbers of SIDS deaths. Do you put your baby down in a sleeping space of their own as soon as they come home? Will there be a wall between you, or an arm’s length? Will you pull your baby into bed with you to feed while you try to snooze, or will you always take them to sit in the approved upright position, staying absolutely alert until they sleep again? All of these decisions might be personal ones, but this is a matter of fact and not opinion – there are safe ways for babies to sleep, and there are dangerous ways for babies to sleep. A new study carried out in the US has found that half of all American babies are sleeping in unsafe spaces. The Centers for Disease Control and Prevention surveyed 19,000 parents, and found that more than half put their babies to sleep with pillows, blankets cuddly toys or comforters – all items that are considered seriously dangerous for small babies. 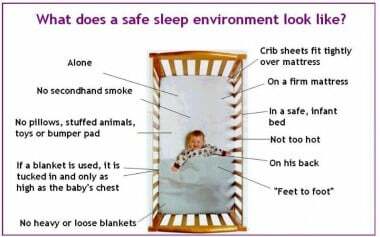 Pillows are not considered safe in a baby’s cot. In Australia this message is being received loud and clear, with the awareness of SIDS credited for a plunge of 80 per cent in the number of unexplained sudden infant deaths between 1989-2012. SIDS and Kids estimate that’s around 7,990 babies’ lives saved. 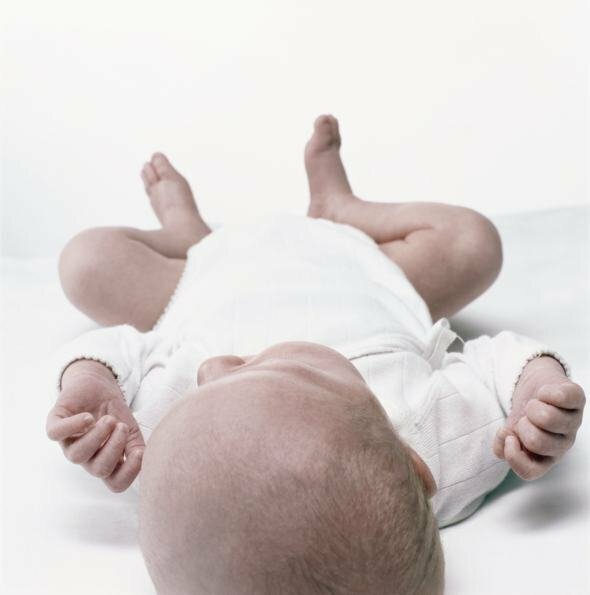 Saved because we know now about the safe ways for babies to sleep – on their backs, in their own, uncluttered space, close to their parents and free from cigarette smoke. As far as the official SIDS guidelines are concerned, there is never a safe way to co-sleep with your baby. No single sleeping surface shared with an adult is considered to be safe. 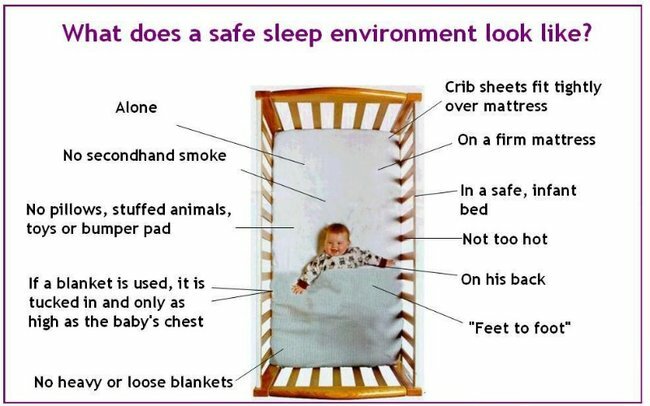 Parents who want to be close to their children as they sleep will find ways to make it happen – cots that attach to your bed are increasingly popular – and the vast majority of those would never consider themselves putting their babies at risk. But stories like the one in that New Zealand court this week should never let our exahustion, and our desire to be close to our babies cloud an unmistakable fact – fewer babies die when they are sleeping than ever before, because we have listened to the experts’ advice and lessons. Do you or did you ever co-sleep with your baby?